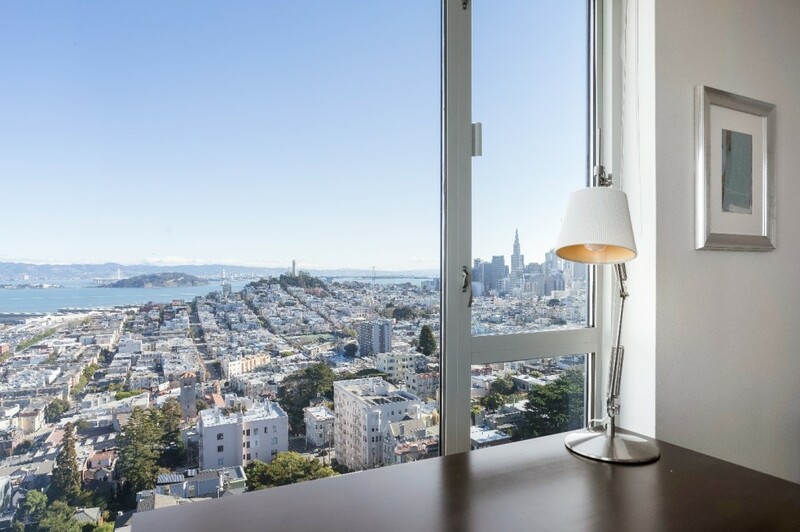 Located down the block from Lombard Street, our luxurious 1000 Chestnut Street apartments at the top of Russian Hill have panoramic views and sharp interiors that are sure to impress. With cable cars rumbling by and the famous Ghirardelli sign right in front of you, it really couldn’t get any more San Francisco than this. Just wander into the picturesque lobby and you’ll be greeted by our 24-hour doorman welcoming you home. As you can see from the pictures, this property is near everything. 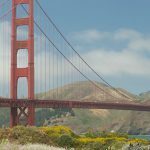 Located at the top of a steep hill looking out upon Alcatraz Island, you are just a short walking distance or trolley ride from San Francisco’s most popular attractions. 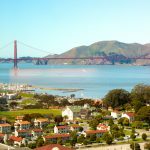 Ghirardelli Square and Lombard Street are right out your door, Fisherman’s Wharf is close-by, and you’ll have panoramic views across the Bay Area. Bars, restaurants, and parks also line the neighborhood streets, ensuring an activity for every type of resident. 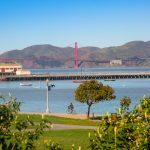 With Pier 39 and Coit Tower in the area, you can get the best of both worlds living like a local or as a tourist. 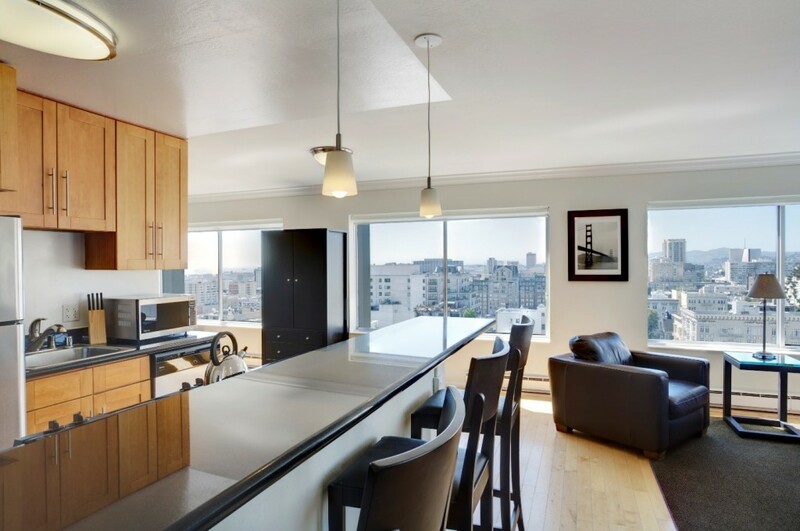 However, the location isn’t the only reason why 1000 Chestnut is the perfect San Francisco home. 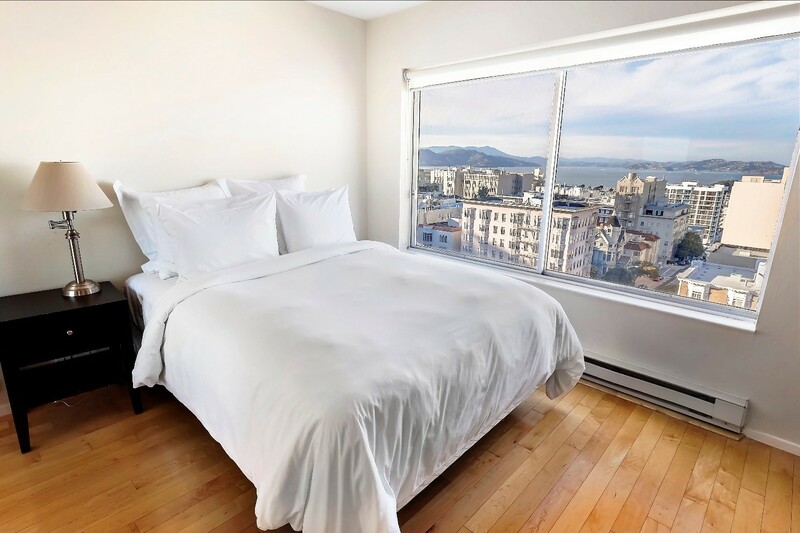 At Trinity, we offer fully furnished 1 and 2 bedroom apartments as well as corporate rentals. Don’t worry about furniture and packing all your stuff, just bring your clothes and move in today. 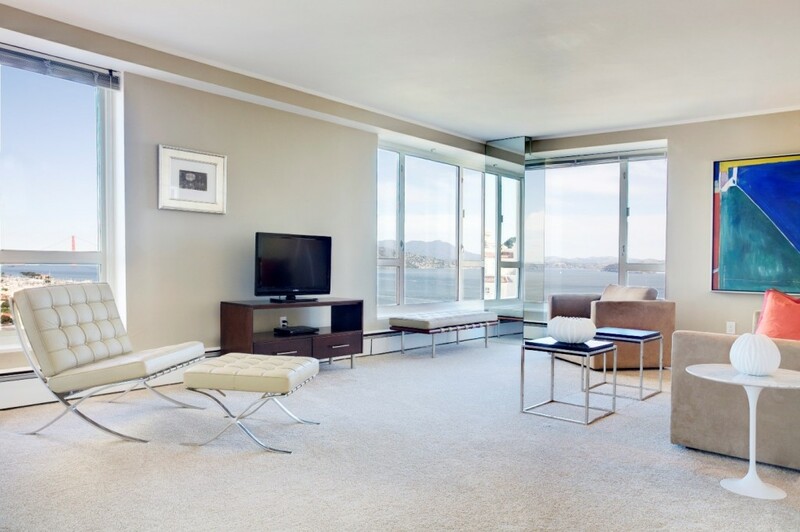 We currently have units available in our elegant high-rise properties that come with modern furniture, cookware, and much more. Moving is difficult enough, but renting a fully furnished apartment from Trinity is about as easy as it gets. As displayed on the Ghirardelli Square Instagram page, 1000 Chestnut is located just behind the world-famous destination. The chocolate factory has been in existence since 1862 and is now most well-known for the events held year-round. Living in one of these apartments is truly a luxury, but luckily, we offer units across the city that fit a wide range of budgets. If you are looking for a similar availability, Trinity Property Manager Mackenzie McCauley also manages the beautiful Clay Park Tower. While she gave me a tour of the apartments at 1890 Clay, it became apparent that this building is one of the hidden gems in the city. The beautiful panoramic views here are remarkable and these glistening apartments are undoubtedly worth viewing. 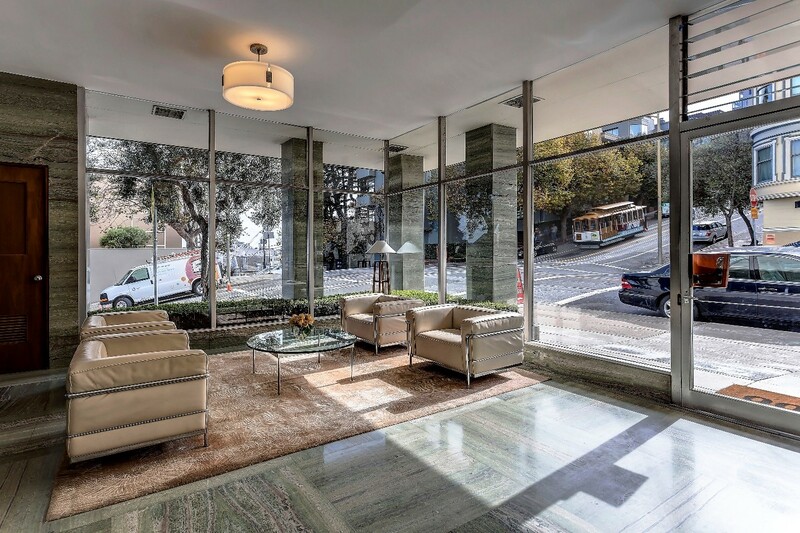 Located in Pacific Heights between Van Ness and Lafayette Park, this building is in the center of the action. With proximity to almost everything in the city, your car can spend most its time garaged in our secure facilities. 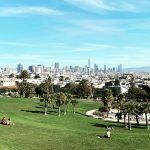 Whether you’re taking a Sunday stroll to Whole Foods or out clubbing on Polk Street, your next adventure is right around the corner. With all the popular restaurants and quick bites in the area it will be difficult choosing to cook for yourself! Luckily, our units come stocked with beautiful appliances and furnishings that are sure to wow your guests. Our studio, 1 bedroom, and 2 bedroom apartments are spacious enough to host all kinds of gatherings. And with views like these, you are sure to have many visitors. 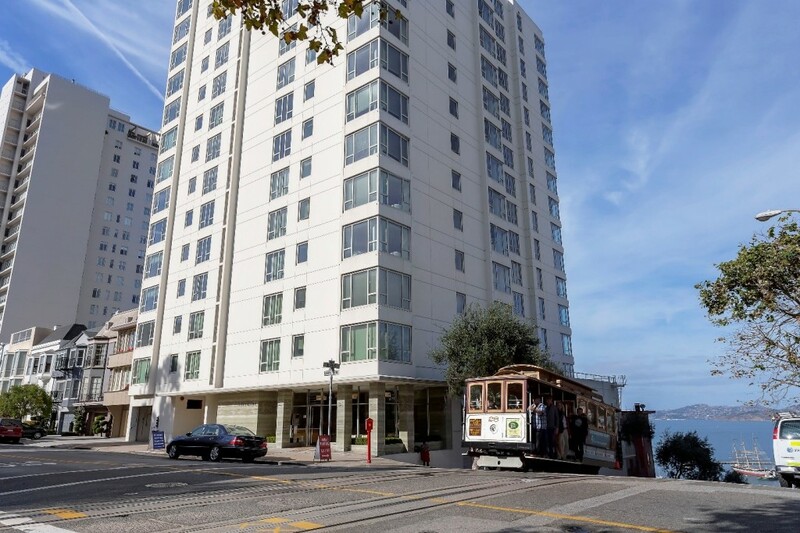 If you want to get the true San Francisco experience, our Clay Park Tower apartments are the place to be. 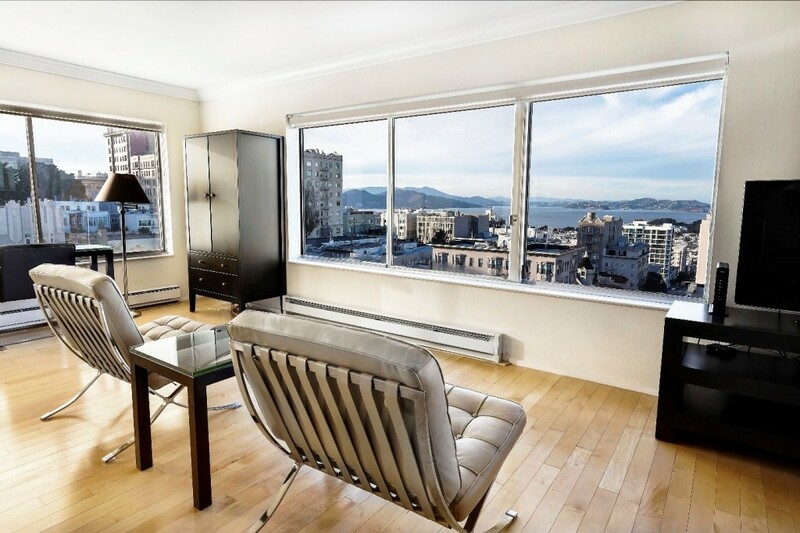 Find your home today in picture-perfect Pacific Heights; celebrated for its regal mansions and prestigious buildings, not to mention cinematic views of the Golden Gate, the Bay, Palace of Fine Arts and Alcatraz. 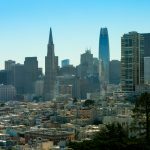 This exclusive neighborhood offers some of the City’s best boutique shopping and many excellent restaurants, cafés and bars on Fillmore Street. Interest in viewing? Contact Trinity to set up a tour of our beautiful available units.